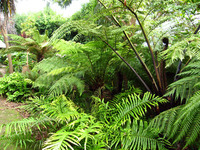 Although the Seaview House Hotel does not actually have a sea view (an avenue of trees in front of the hotel that obscures much of the ocean), it has 5 acres of immaculately kept gardens. Seaview House is a white Victorian building on the edge of Bantry Bay, 3 miles from Bantry and 8 miles from Glengarriff. Be sure to visit the hotel restaurant (3 AA rosettes). There is free parking. 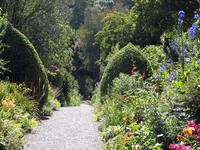 Gardens to visit while staying at Seaview House Hotel include Bantry House Gardens and Ilnacullin Gardens.